In newer versions of Windows you are not able to use the Telnet-command to test a port. Don’t worry. In PowerShell v. 4 and onwards you can use the command below. SSIS and IBM DB2 – Don’t do it! SSIS is a product that should be indifferent to whatever RDBMS you use. That’s also true. It will work with every RDBMS through drivers ODBC, OLE DB, ADO.NET etc. 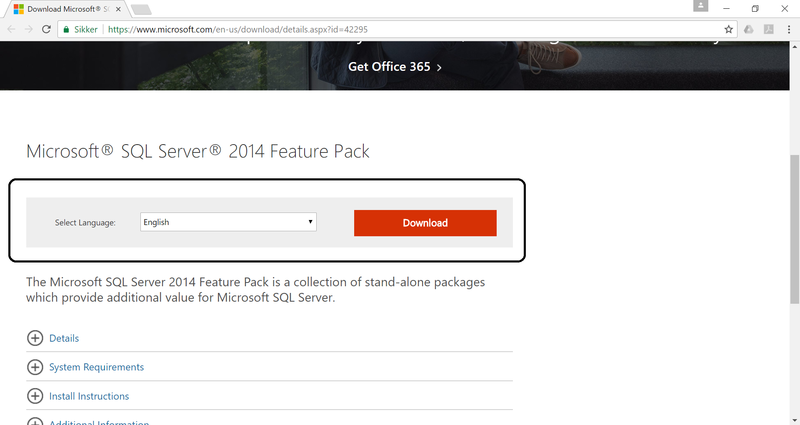 BUT it works best with Microsofts SQL-server. 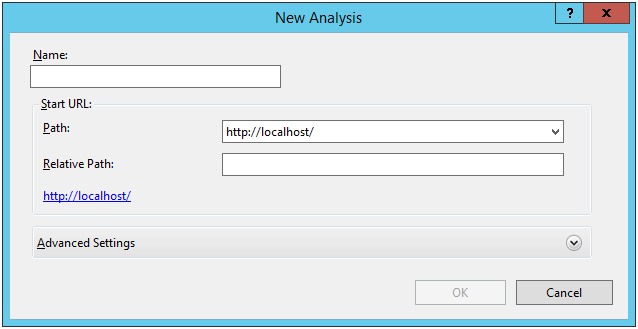 This blogpost will take a look at using IBM DB2 with SSIS. Below is a test using ODBC-driver for IBM DB2 from IBM, OLE DB for IBM DB2 from Microsoft and an ADO.NET-driver. Transferring 100.000 rows from one IBM DB2-server to another IBM DB2-server. As seen above the ODBC-driver for IBM DB2 from IBM is the best solution when it comes to transfer rate. The OLE DB-driver for IBM DB2 from Microsoft is a really poor choice. But using the ODBC-driver for DB2 from IBM is not the solution to everything! As seen in the picture below it’s only possible to use an OLE DB-connection in the Lookup-task. The Lookup-task is really slow and it might be better doing it in SQL. Regarding a lot of the tasks in SSIS, they are really slow (see links below). 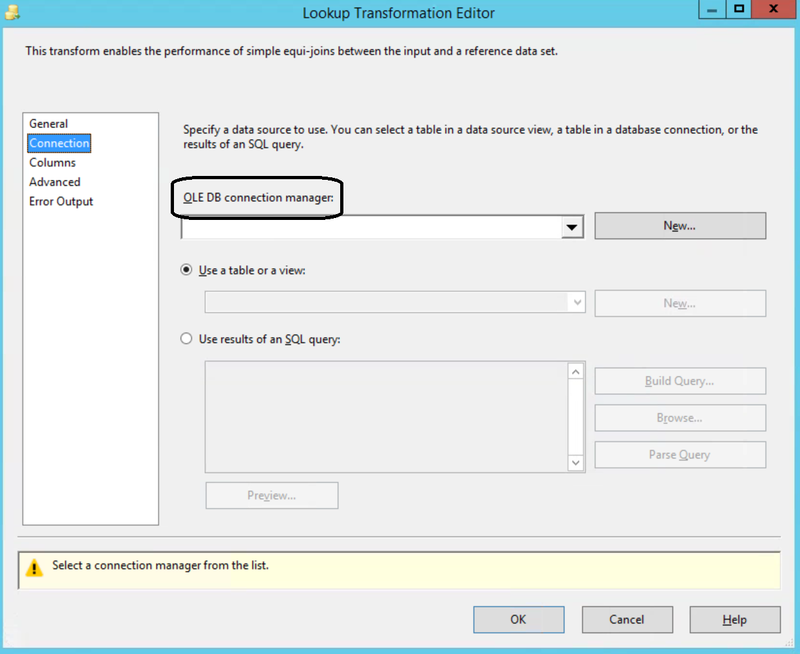 SSIS also contains a ‘OLE DB Command’-task and no ‘ODBC Command’-task. It’s NOT possible to use the fast load option with the OLE DB-driver when it comes to IBM DB2. It’s possible to choose the fastload option, but you will get the error below. The reason why the OLE DB-driver is that slow is probably that it transfers one row at a time. 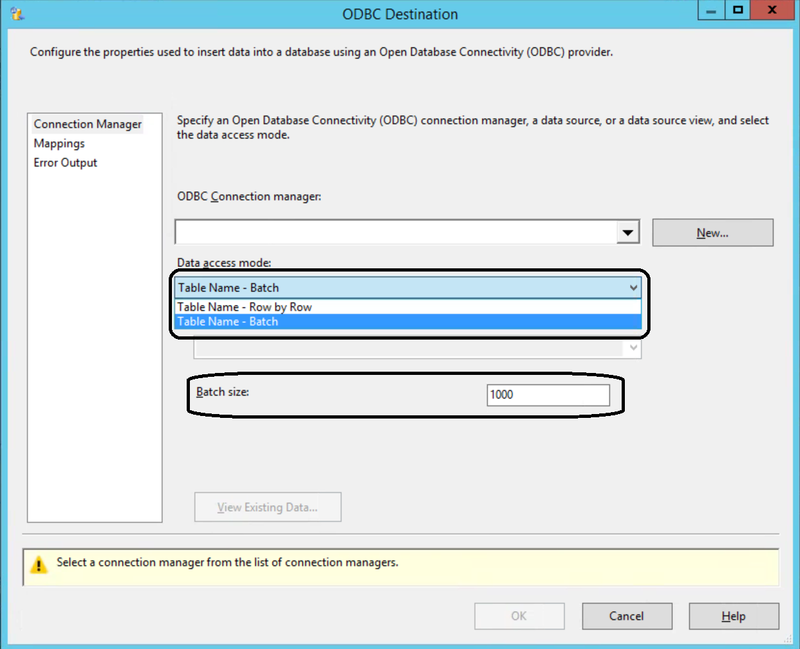 It’s possible to use a batch/fast load load option in ODBC. 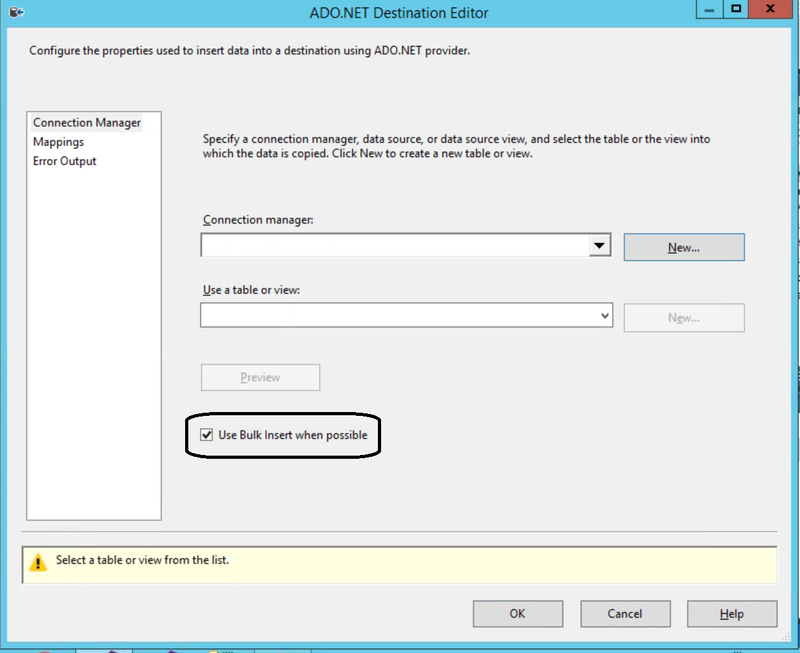 It’s also possible to use a bulk/fast load option in ADO.NET. The links below is to different sources that can help you with SSIS. A book that describes different design pattern for SSIS. A collection of optimized SSIS-tasks. Free online training videos about SSIS (search for SSIS). Online training videos in SSIS (requires a paid subscription to Pluralsight). 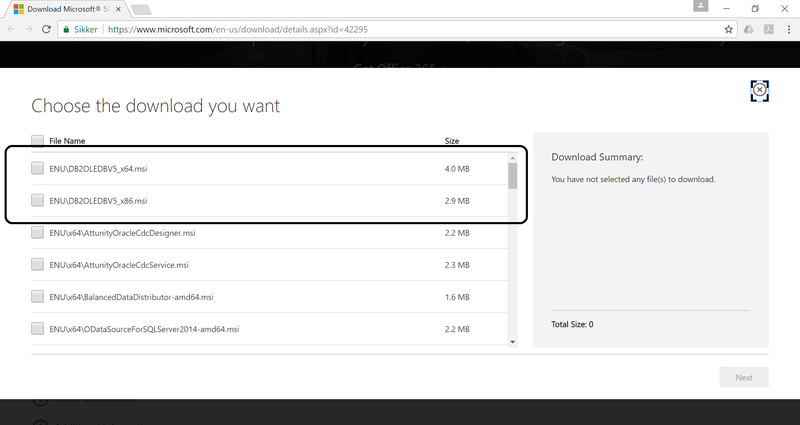 Select language and the download. Choose the correct bit-version for you OS. NB! It has not been possible for me to get this driver to work with SSIS. First of all, if you have a .csv file containing the results that you want to compare with your test and the result contains special national characters, then you need to encode the file in Unicode before saving the file. 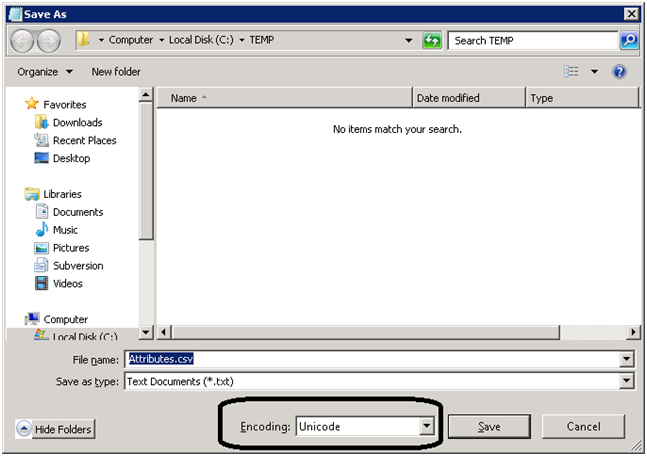 You change the encoding in Notepad for Windows as shown below. If your .mdx file with the test to perform contains national characters in Danish that could be the characters æ (ae), ø (oe) and å (aa). Then you have to translate them to these characters to make them work. More characters can be found here. An example of and MDX-query with national characters for in .mdx file for unittesting in NBI would look like the query below. The link below gives a good description of the difference between SharePoint CU, PU and COD and recommendations for when they should be installed. The guide below will show you how to use the Search Engine Optimization Toolkit for IIS. 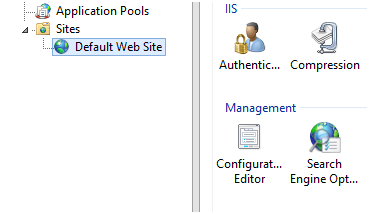 The toolkit is built for IIS 7.0 and ISS 7.5, but it works in IIS 8.5. 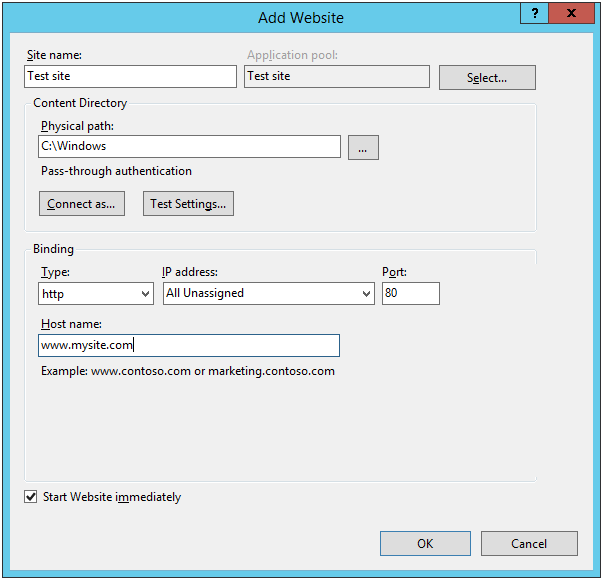 The problem is that you can’t follow the guides available for IIS 7.0 or 7.5. Here it’s possible to Create a new analysis. 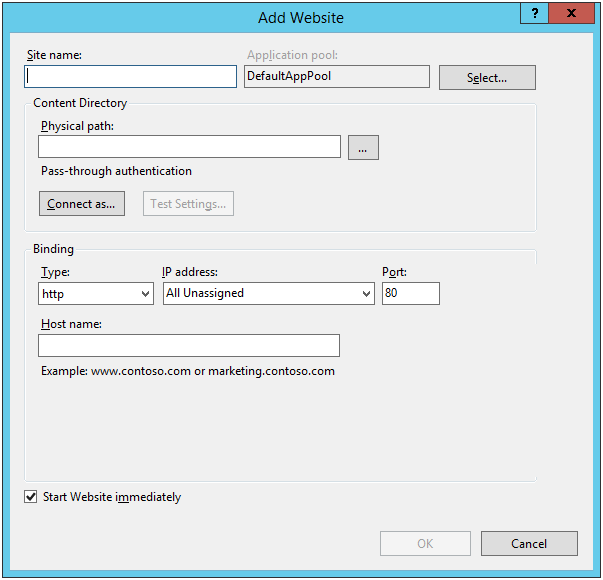 But it’s not possible to change the path away from http://localhost/ in IIS 8.5. Please comment, if you know how to do this. You will meet this screen. You can enter the information below. But in the Host name (www.mysite.com) you should enter the site you want to check. And press OK, when you’re done. Now you can give the analysis a name. The path has changed to http://www.mysite.com (or what ever you have entered) and is not http://localhost/. 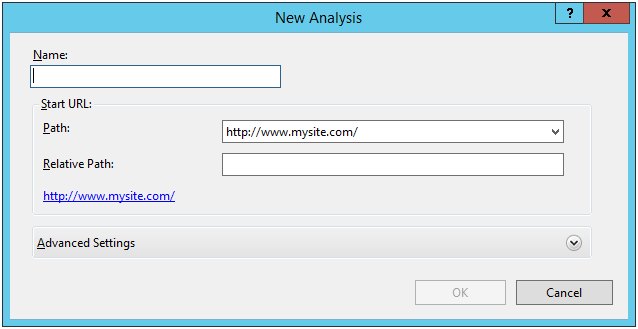 When you have given the analysis a name, you can hit OK, and the analysis of the website starts.